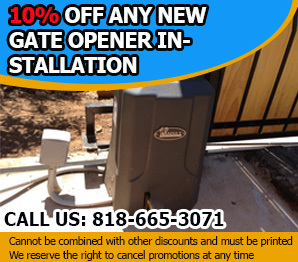 You are on the right track, if you are looking for answers to your gate repair questions. What should be done to maintain wooden gates? Wooden gates are always preferred because of their aesthetics. They look good and ornamental. According to specialists at Gate Repair Calabasas, wooden gates need to have regular repainting, resealing and staining to maintain their beauty. The service lives of wooden gates are rather shorter than gates made of other materials. Wood gets rotten with the changes in weather condition. When wooden gates start to rot the appearance change and become dull. How to repair wooden gates? There are times when wooden gates start to rot. This is unavoidable because by nature wood easily gets rotten when they get wet often. If only portions of the gates are rotten, you can cut these parts and fill up the cavity with wooden fillers. Then give them a good refurbishing job to make it look new again. 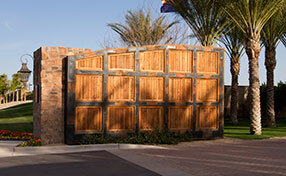 If a large part is rotten, replace the whole panel or replace the whole gate if needed. 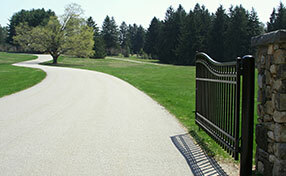 What is the safest type of gate? 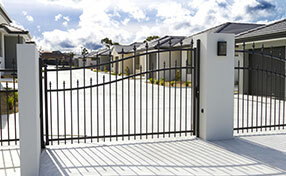 Our specialists suggest that gates should be opaque and sturdy to provide sufficient safety and security. Avoid opting for flimsy gates or those that are made of thin bars, allowing everyone to see what’s inside and possibly risking breach of premises. Ask the gate company for their best choices as well. What are advanced gate opener systems? Many manufacturers nowadays offer complete security packages for clients. Earlier, installation of gate openers and other security features were done separately. Now, people can avail of a complete security package. Some gate openers come bundled with an intercom device for added security. There's also the telephone entry system, another advanced gate system available today. Should you lubricate your driveway gate track? Lubrication is not advised for garage door tracks. Is it the same for a driveway gate track? For our gate maintenance experts in Calabasas, the lubrication guidelines used on the tracks for garage doors and gates is not similar. The tracks in garage doors are not necessarily the same parts referred to in gates. Lubrication is still recommended for driveway gate chains and tracks. How important is lighting on my gate? Very important! Having bright lights immediately discourages most thieves from trying to break in. You could set up an automatic light that is turned on by a motion detector, or as the gate is opened or closed. Keeping your gates and perimeter well lit can go a long way towards home security.